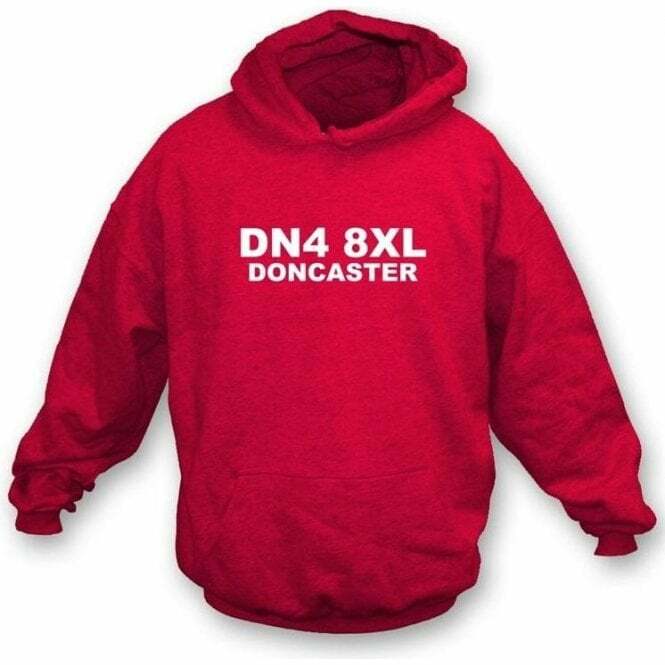 DN4 8XL Doncaster A Hooded Sweatshirt for real supporters !! Show your colours with the postcode of your ground in this cool but understated Hooded Sweatshirt. Also available Mens T-Shirt and Women's Slimfit T-Shirt.